While there are several Pest Control services in Nassau, there is a glaring lack of agencies that charge the right price for the services they offer. Latin American Exterminating is among the rare players in the business that have strengthened their position in the industry through sheer quality of their services. At Latin American Exterminating, we believe in honesty and trust, which is why it has not only been the most sought-after pest control in Nassau County but has also ranked as the most desirable company in the business on various websites. Whether you have rodents living in the dark unreachable corners of your house or ants destroying your basement, we have solutions for all your problems. Pest infestation in residential areas has increased in the recent years owing to the rapid population growth. Six out of ten city dwellers face an infestation of some kind during their stay in the city. While most people employ professionals to remove the pests, some people endeavor to take control of the situation due to the high price of the services. When it comes to affordable pest control, Nassau County is a poor example. Latin American Exterminating is helping thousands of people who are otherwise unable to afford professional help. A lot of research has gone into our residential pest control services. Our advanced pest management methods are effective in exterminating all kind residential pests including ants, termites, bees, bed bugs, wasps, snakes, rodents, birds, cockroaches, millipedes, centipedes, beetles, clothes and every other pest you could name. Our team of bed bug exterminators boasts a success rate of 97% which is beyond impressive, as anyone who’s familiar with bed bugs will agree. We are the most efficient bed bugs exterminator Nassau currently has. Our canine inspections are a reliable way to secure your new home before moving in, and hundreds of families have benefited from it. Talking about Residential Pest Control Nassau County knows, there are no exterminator services like Latin American Exterminating. Business Spaces and workplaces are the worst places for pests to be. Business owners get shivers at the mention of pests and leave no stones unturned to keep their building free from unwanted animals. Pest control agencies are often seen to take advantage of this desperation and charge unfair prices for insubstantial work. We are determined to provide the best service at the cheapest price, which is the reason that hundreds of hotel owners, theatre owners, furniture store owners, school and college authorities, and various other business owners return to us when they need capable exterminators. If you can’t remove the stubborn cockroaches or rodents from your restaurant kitchen, don’t get frustrated, call us. Our advanced pest repellents combined with the methodical approach of our skilled experts completely erase the existence of cockroaches and rodents from food outlets. We have tie-ups to several theatres and auditoriums to keep their furniture safe from bed bugs. Bed bugs are transported across a city every day by thousands of unsuspecting people. You can rely on us to make sure that some of them don’t land on your building. Our impeccable punctuality and efficiency have made us the most formidable commercial pest control Nassau County can currently offer you. You don’t have to hire professionals separately to fix the damaged pipes, electric circuits and what not after a clean-up. Our damage repair feature is included in all our pest control packages which have helped thousands of people save a ton of money. 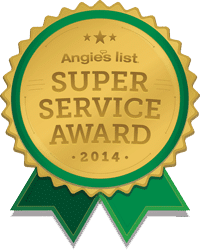 By choosing us you’ll not only save a ton of money, you’ll also choose the best pest control Nassau County has in store. When you face an infestation, don’t panic, and don’t try to handle it yourself. You’ll most certainly worsen the situation because removing pests is no children’s play. For affordable and trustworthy Pest removal Nassau county has American Exterminating, make use of it. Call us today.